A walking tour exploring Porto, the "Granite City", and its maze of streets, during which we admire historic buildings, such as the Clérigos Tower, and modern structures, the railway station for example, with its amazing terrace. The tour ends with a panoramic view of the river Douro. This excursion will take us into the heart of Porto, which is not only Portugal's second city and second most important port, but also the country's university and industrial centre and an Episcopal seat. 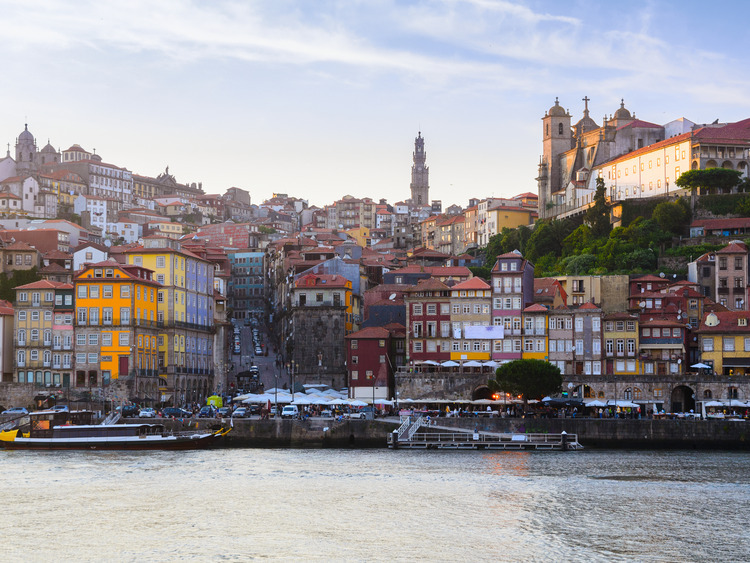 Porto is also known as the "Granite City" as the material was used for a lot of its majestic and elegant buildings, creating a contrast between the city and its lush green surroundings. Our coach will take us to Cordoaria, from where we make our way into the maze of streets in the city centre. During our walk, we will see the Clérigos Tower  designed by architect Nicolau Nasoni  one of the tallest buildings in Portugal. We then head to the Livraria Lello, which is considered one of the world's most beautiful bookshops thanks to its amazing Neo-Gothic façade. We then visit the São Bento railway station. One of the most imposing buildings of the city, it is known for its azulejos (decorative hand-painted tiles), which were designed by Jorge Colaço to depict two important subjects - the history of transportation and the Battle of Aljubarrota. Walk along charming pedestrian Flores Street towards﻿ the Ribeira, where we will have some more free time to admire the fantastic views of the river Douro, with its bridges and typical Rabelo boats. The excursion includes a walk of around 1 km on both flat and sloping streets. This excursion is not recommended for guests with mobility problems and pregnant women.